Ricky Ponting – How long to go? Just came across an interesting post on Ricky Ponting. And there is another video after match controversy in 2008..
Rickey replied to a question ,”What is did in the first innings, doesn’t explain the way I play the game”…It sure does explain that you are the biggest hypocrite the game has ever seen. Reason why Sachin Tendulkar is widely appreciated throughout the cricketing world can be associated to his demeanor. There is no denying in Ricky Pontings batting talent but his ability to captain Australian team has always been hidden behind ever so talented Australian team.On field his rude antics, exceptional fielding skills and special pulling and hooking abilities are hard to miss.Ponting has not been tested as a captain untill recent years, but now his leadership abilities have become evident. When team is on a winning streak, no one take notice of little mishaps. Ponting had made career ending decisions time and time again throughout his captaining era but he had the backing of master minds like Shane Waren, Glenn McGrath to save him from, literally any situation. 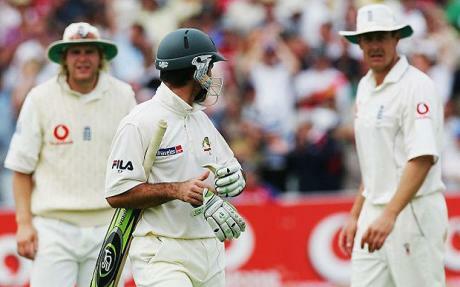 In history, Ponting might go as one of the worst Australian captain in decades. If you look how and why he has lost so many games despite having one of the most talented team under his command.